It internally pains me when my friends turn their noses up to yogurt, especially ones like Pineapple Chobani, or Stonyfield’s Banilla yogurt. HOW?! It just doesn’t make sense to me. 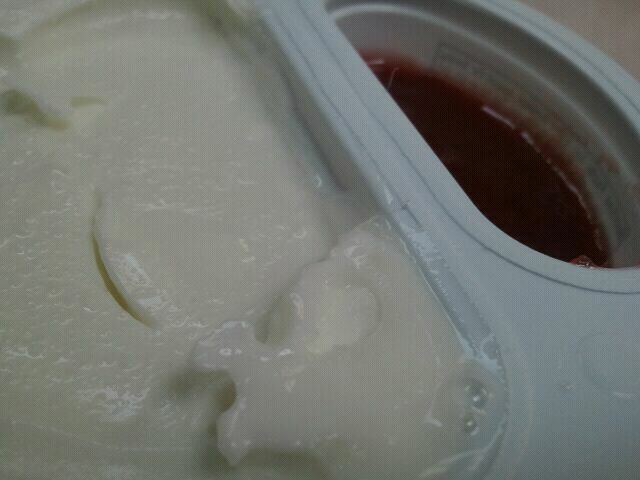 In fact, I have a friend who won’t even try the yogurts I eat, because she “knows” she won’t like them. Hasn’t anyone ever taught them to “not judge a book by it’s cover”?!! Anyway- now that my rant is over, let’s get back to the yogurt. 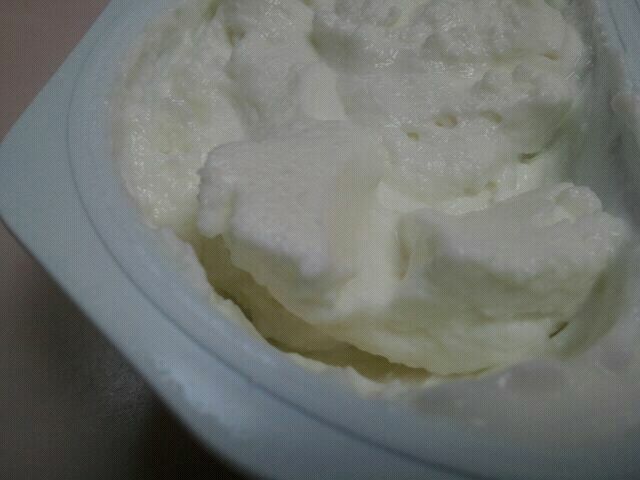 I had been told by a commenter in the past to try this Athenos yogurt. 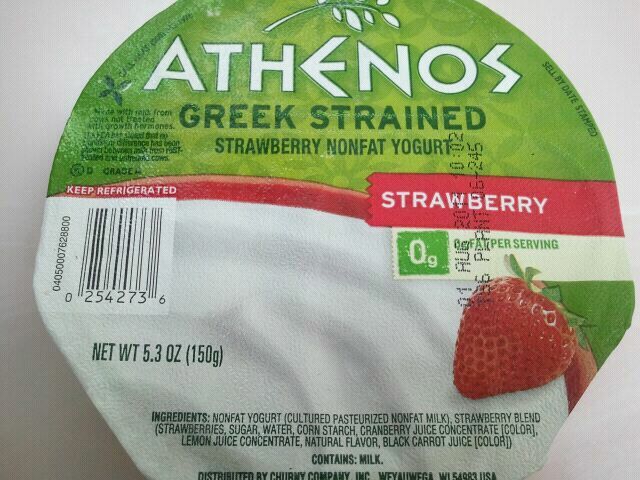 So, the other day I saw the Athenos Greek Strained Strawberry Non Fat Yogurt, and decided to buy it and give it a try. 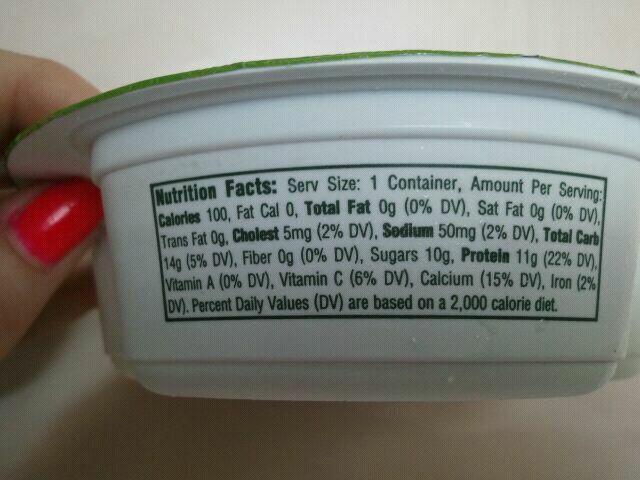 The yogurt part is EXTREMELY thick. I think this is one of the thickest yogurts I have ever had. By itself, it’s a little tart, but not so tart where it induces lip-puckering and squishy faces like a lemon war head would do. It’s creamy and has a bit of tang. Onto the fruit part, which went really well with the yogurt. I thought the amount was too small, but it ended up being just right. It wasn’t super sweet, and also had a bit of tartness to it, but I actually enjoyed it. It was a thick syrup/jelly-like side, that tasted like defrosted strawberries. There were tiny chunks of strawberries as well, that were sweeter than the rest of the fruity side that I enjoyed. Together, however, the two complimented very well with one another. Creamy, slightly sweet, and tart with a little bit of tanginess to it! 4 stars. Wish it was a bit sweeter, but AWESOME thickness and creaminess!!! I would buy it again.